Dental procedures are expensive, but for some people they can be unavoidable. If you’re one of the many individuals who are in desperate need of tooth work, it can be extremely discouraging to receive a several thousand dollar quote from a dentist. If your insurance can’t cover enough of the charge to make the procedure feasible, what can you expect to do? There aren’t many viable solutions for this very serious predicament, but thankfully there is one that has become increasingly appealing in recent years. If you haven’t heard of taking a dental vacation, you may want to consider it! A dental vacation is fairly self-explanatory; imagine taking a holiday and getting your dental work done at a much lower price than the procedure alone at home. Due to the excessively high overhead costs, insurance prices, and other fees incurred by the dentist, the cost of oral surgeries in the UK are heavily inflated. Those expenses invariably affect your wallet; often times pushing the much needed procedure out of reach. Other countries, however, do not require the same amount of additional payout from the dentist. This, in turn, reduces the expense of surgery, making it easier to afford. 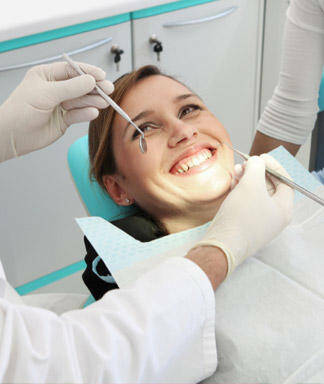 Dental treatment in Turkey, for example, can be less than half the price of the same surgery in the UK! If you’re afraid that dentists in Turkey lack the qualifications of UK dentists, rest assured that your concerns are unfounded. Research and documentation have proven that Turkish dentists are equally, if not more so, qualified to offer any procedure you would find back home. The entire prospect gets better, however, when you realize that you also have the opportunity to explore and appreciate another culture. Explore the vast regions of Turkey, take some time to appreciate the country extensive history and beautiful art, all while waiting for a surgery you already needed. Get the full experience of exploring temples, visiting marketplaces, learning the language, and repairing your teeth, all at a price you can easily afford! Browse our website for more information about our dental treatments in Turkey, click here to contact us for more information or call +44-020-8144-6160.